I really like this because now I could just put all of my jewelry in one case. I have never heard of this brand before, but I am excited to try it. I love the different colors it came with and the little pink and clear rhinestones that were included. This chain is very clever. My cousin-in-law bought it for me because one night we went out and I told her I forgot to put lipstick on. So she got me this, which you basically attach to your purse and voila you will ALWAYS have lipgloss on you. WOW! 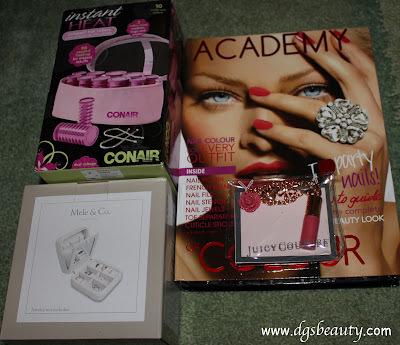 lovely presents <3 Love that nail lacquer kit! lovely presents!!! totally love the JC item!!! Happy Birthday, Love! You got great gifts for your bday. I hope you had a fabulous birthday. Happy Birthday dear! Lovely gift! 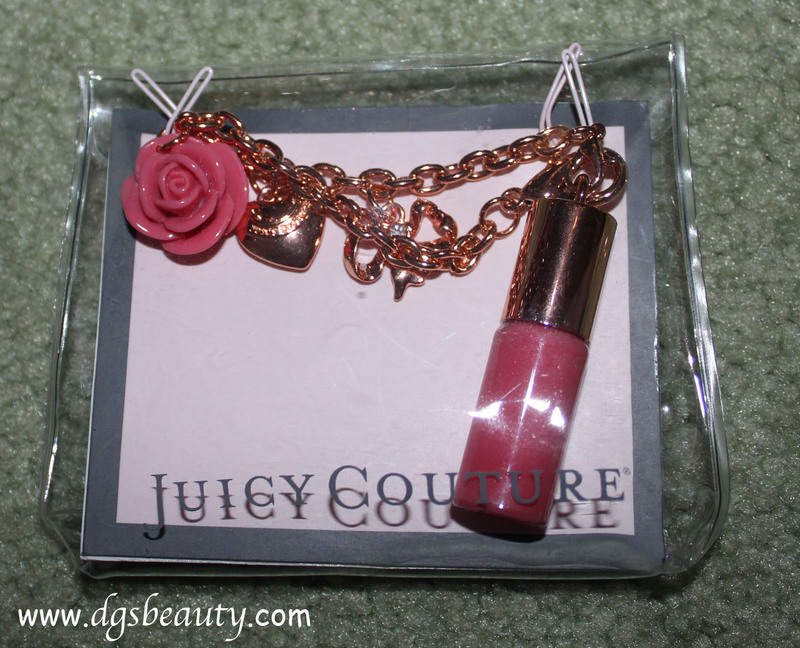 Love the juicy couture bracelet! Belated Happy Birthday! Nice gifts, the lipgloss is pretty clever. Love the Jewelry box I so want to try Conair Instant Heat Rollers. Please do write a review when you use them. great gifts! The lip gloss bracelet is ingenious! I love that Juicy Couture lipstick bracelet…so cute! 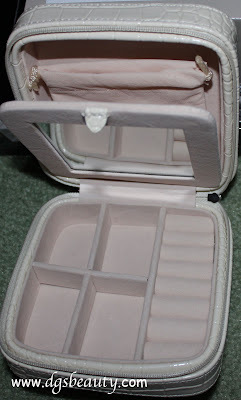 Happy belated Birthday…love the jewelry box! ive never tried any heat rollers before. can you do a post on it and let us see the end results of it? i want to see how it will turn out. That last one is totally genius, haha. I always forget to put something on my lips when I go out and usually I regret it later because my lips are so sensitive. Aww! The Juicy chain is adorable and so thoughtful. It says Academy Colour. It’s the first I’ve heard of it.